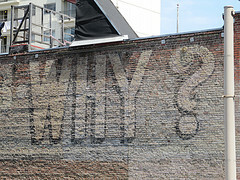 Continuing my “why” series, it’s time to tackle the most asked question on this blog. Consider this scenario: you’ve gotten the interview. You think it went well. They told you they’ll get back to you with their decision. Why are employers so bad about geting back to you after the job interview? Is this a bad sign? I’ve already written several posts about this situation, including a discussion on how long you should wait before following up, and some rules on how to follow up after a job interview. But let’s just deal with the “why” of it for now. Why is it taking so long to hear back? You’re not going to get the job. I know, this is exactly what you didn’t want to hear, but it might be the most likely reason. Some employers are just slow. Have you ever applied for a government or public sector job? The mountains of bureaucracy involved can be immense. Don’t underestimate the glacial speed at which some organizations move when it comes time to make decisions. Maybe the position is not available. I can’t tell you the amount of times I’ve had clients tell me they’ve interviewed for a position only to find out it had already been filled. Sometimes an employer is big enough that one hand doesn’t know what the other one is doing. Maybe they’re just filling a quota. There are tons of instances where an employer is simply advertising and interviewing for an opening just to say that did, when, in fact, they are going to end up hiring the person they had in mind all along. Maybe the person who interviewed you isn’t the same person who makes the final hiring decision. You might have been interviewed by one person, or by a team, but either way, in the end the decision is made by committee. If it’s one person interviewing and that same person makes the decision, then the decision can come fast. But if it’s decision by committee, then that could take a while to hash out. Maybe you’re their second choice, but they expect their first choice to turn them down. They’re keeping you on the line just in case. Maybe they no longer want to hire anyone, much less you. Sometimes the actual act of seeing who’s out there to fill a given position makes an employer change their mind and decide it’s not worth it after all. In the end, I don’t know why employers take so long to give a final yes or no. It’s rude and infuriating. In the end, maybe it’s just bad manners or organization on the employers fault. But if you’re one of the people asking why you haven’t heard back yet, in my experience, it’s usually one of the reasons above.